Vocal recording is one of the most important tasks in the multi-track recording project that should be done carefully/correctly. 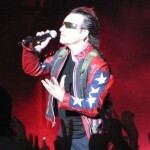 It is because the artist fans will be paying MORE attention to the vocal tracks more than any other instruments in the mix. 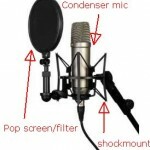 This beginner tutorial will highlight how to record vocals properly. You can do this by following the best practices of recording vocals in your digital home recording studio (using a PC, Mac, Laptop, etc). 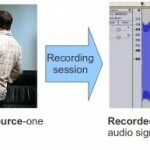 This tutorial is applicable to any recording software you will be using. Your will learn quickly how to record your vocals properly by showing a problematic vocal recording so that you will know what are these problems to avoid. I received an audio mixing request consisting of around 5 tracks (2 guitars, 2 violins and one lead vocal track). The client initially sends me the vocal track for a review. This is what the client provides (vocals start at 13 seconds after playback, but observed closely what you have noticed before the vocals, during the vocal performance and after it). c.) Lack of headroom, too hot vocal recording levels. a.) 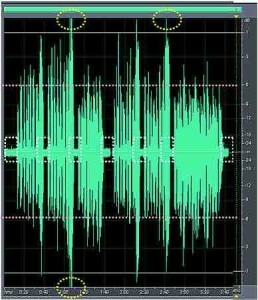 Yellow dotted circles are the clipped areas in the vocal waveforms; clipping in digital results to distortion which you should avoid. b.) Dotted white rectangles are the significant background noise in the vocal recording. 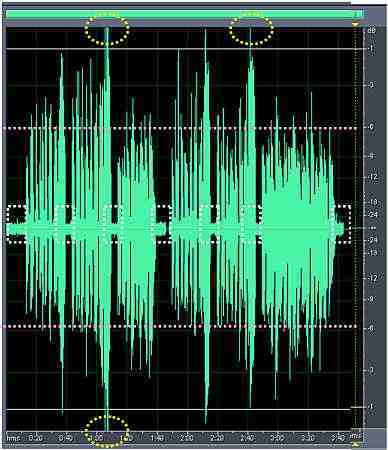 According to the client, this is noise due to the venting system which they have not turned off during vocal tracking. Correct1: The peak amplitude should be -6dBFS or less. In actual and correct vocal recording, the vocal amplitudes would be allowed to vary from the quietest section (around -48dBFS) to an average level of -18dB to maximum peak amplitude of -6dBFS. You should decrease your audio interface preamp gain if it hits above -6dBFS. This would increase the possibility of distorted and clipped vocals. The most effective way of monitoring the incoming recording levels is to look at your audio interface recording level meters. 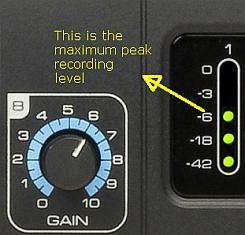 For example, in the screenshot below of Saffire Pro40, it shows a peak level of -6dB. Is it OK to use Shure SM58 in recording vocals?